Children were always important to Jesus during His ministry, and according to the scripture quoted above, children are capable of developing a relationship with God and offering perfect praise. Children’s Church, then, should never be regarded as a babysitting time, but a time to instill God’s Word into these fertile hearts, expecting them to enter into God’s Presence and apply what they learn into their everyday lives. We expect God to move and children’s lives to be changed. The incorruptible seed of God’s Word will affect their lives forever and will not return to Him void! We regard our children as special gifts from God, entrusted to us to bring up in the nurture and admonition of the Lord. We have a covenant responsibility to train our children in the ways of the Lord, His Word, and the flow of His Spirit. We believe that the Spirit of God is at work in our children, and we have seen healings, miracles, and families come to the Lord due to our children ministering the Word themselves! Proverbs 22:6 says, “Train up a child in the way he should go: and when he is old, he will not depart from it.” This does not mean that they will return to the Lord once they have “sown their wild oats!” No It means they will not leave thew ways of the Lord in the first place! But, we must train them not to depart! 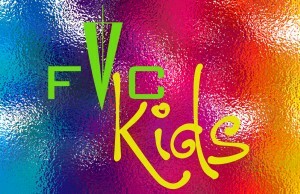 That is our charge in the FVC Children’s Ministry!